Hot on the heels of our Latvia Round Up, here’s our round up of the week or so we spent in Estonia..
What photo takes you right back to Estonia? 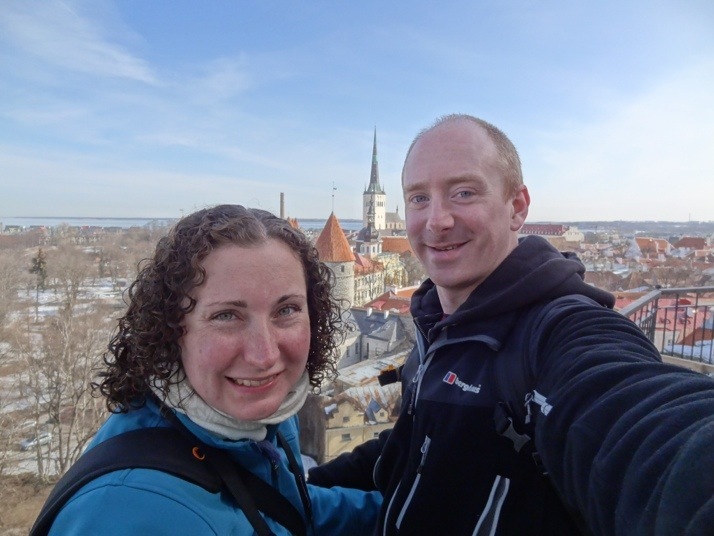 We loved the towers and walled city of Tallinn. Walking a section of the walls was the first thing we did when we arrived, and it reminded us both of York with its old houses and winding cobbled streets. Summarise Estonia in three words. Medieval – With the cobbled streets, old wooden and stone houses, its easy to imagine you’re walking through the place in a time gone by. And much like the UK was in medieval times, Estonia is one of the most sparsely populated countries in Europe. Their saying is they like to live close enough to their neighbour that they can see the smoke from their chimney so they know they’re OK, but far enough away that they can’t see their house. That means there’s lots of space and it’s filled with trees. Both mentally, and as we were there during a cold snap in early April, literally too. The one item you should definitely pack when going to Estonia? This entry was posted in Places and tagged Estonia on April 12, 2013 by Andrew.